Andrew Hore spent three seasons playing as forward with the Ooks men’s hockey team. 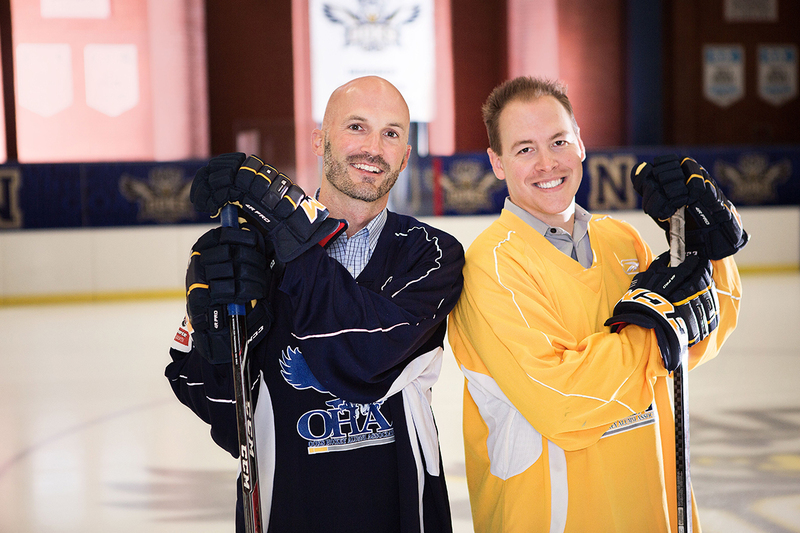 Those formative years at NAIT left a lasting impact on Andrew, inspiring him and members of his old team to form the Ooks Hockey Alumni Association (OHAA) in 2010. What began as a group skate in the NAIT “barn” quickly turned into something bigger. With more alumni joining the association and paying membership fees, the OHAA realized the potential to give back. Fast forward to today, the OHAA has committed more than $450,000 in scholarships for students athletes. Like many others, Andrew and the OHAA have an essential effect on NAIT students, proving small goals can lead to big wins. Andrew Hore spent three seasons playing as forward with the Ooks men’s hockey team. Back when he was a NAIT business student, Daniel Petty says scholarships unlocked doors that boosted his career. Today he works as a sales professional for an international business. NAIT instructor and donor Garry Wilson shares why community is so important.